According to Xpatulator.com, the cost of living in Macau is very expensive compared to nearby Asian countries, such as the Philippines, Vietnam, Indonesia, and Cambodia. In the Human Development Index, Macau ranked 25th with an HDI of 0.868 which is considered to be very high. 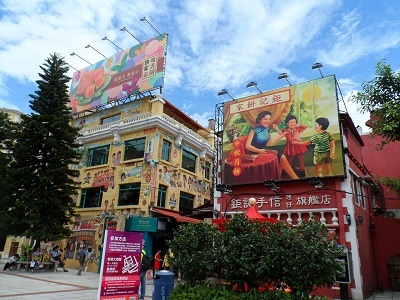 The real estate market of Macau is one of the fastest growing in Asia. The impressive growth is largely attributed to the strong influx of foreign nationals with intentions of investing in this Special Administrative Region, as well as Macau’s stable economy and high GDP per capita. In general, the government of Macau does not have any restrictions on foreign nationals who are interested in purchasing property in the region. It is recommended for expats to hire a knowledgeable lawyer in Macau to help with the process of buying real estate in the region. The first step in purchasing real estate in Macau is to have a Promissory Contract made by a lawyer, which includes information about the buyer and the seller, as well as complete details about the property, agreed price, and special terms and conditions of the contract. At this point, the foreign national buyer should make a down payment of 10% of the purchase price. However, it is strictly recommended to perform a full search certificate at the Macau Land and Real Estate Registry Office or “Conservatoria do RegistoPredial de Macau” first before signing the Promissory Contract to be certain that the seller of the real estate has clear title to own and sell the property. To complete the purchase, all necessary documents should be signed, and fees must be paid. These include stamp duty of 3% of the real estate purchase price, notary, registration fees and property tax. The majority of the Macanese nationals and expat workers in Macau live in rental accommodations. These include real estate agencies that a certain property is listed with, which prospective tenants can directly contact to arrange a viewing. The average deposit for new tenants is three-four months’ worth of rental. Those who sign a rental agreement of one year will be charged with one month worth of rent to renew the contract. Several rental accommodations in Macau already come furnished with beds, couch, television, TV stand, dining tables and chairs, coffee table, wardrobe and washing machine. However, a lot of apartments do not have an oven, so tenants will have to buy it for themselves. Macau is considered to be a tax haven due to tax rates which are very low compared to other countries in the world. All Macanese residents and non-residents, including foreign national workers, are liable to pay income tax in Macau. The income tax rate is on a sliding scale, starting from 0% up to 12%, depending on the income bracket of an employee. Property tax is paid by all residential, commercial and industrial property owners in Macau. Rates can be 6.3% if the tax value is the property rental value or 10.6% if the tax value is the actual income. Macau does not have capital gains tax, estate and gift taxes. For full information on Macau's taxation, go to The Financial Services Bureau's official website.